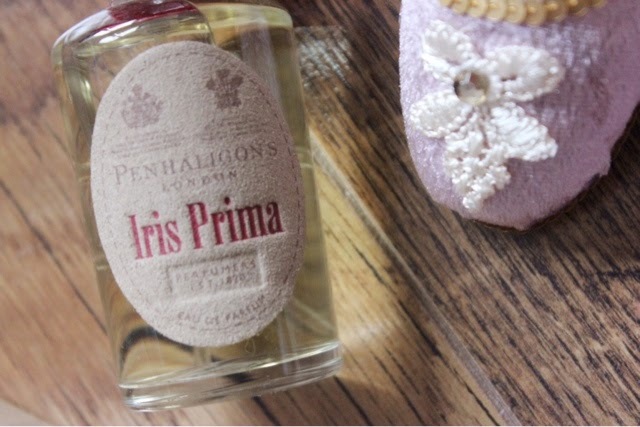 I received this exquisite bottle of perfume, Iris Prima, as a Christmas present from my sister. 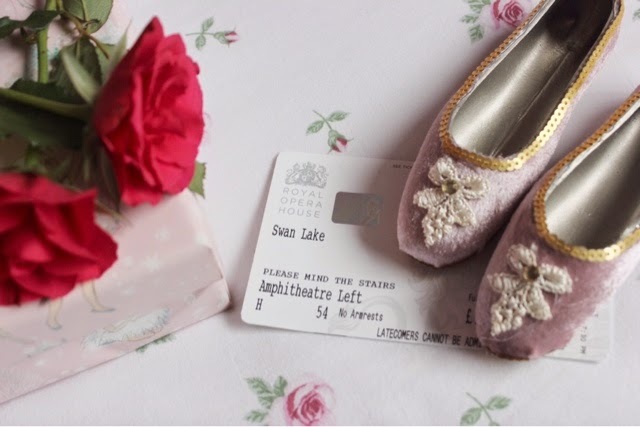 Coincidentally, I had bought her tickets for us both to attend the Opening Night of Swan Lake, by The Royal Ballet in Covent Garden. 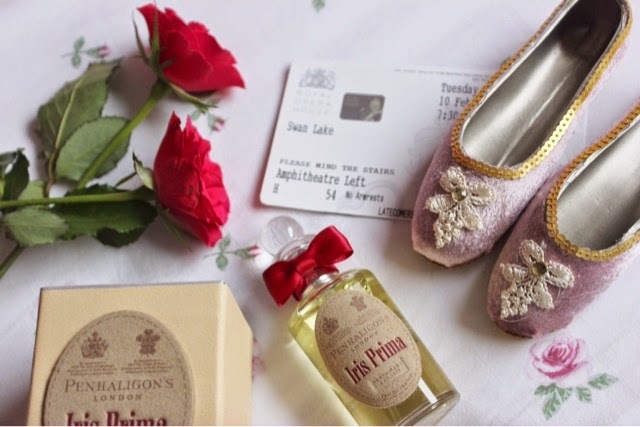 We both adore the ballet, and this beautiful perfume is something we have both been coveting for a long time. It is one of the loveliest presents I have ever received and it is extremely precious to me. 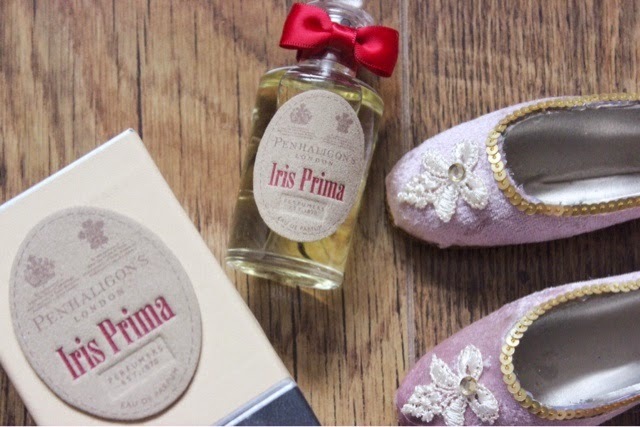 "A fresh and transparent bergamot opens the dance: its citrus freshness mimicking the graceful flight of the prima ballerina as she leaps into the spotlight. Green amber softens the effect and contrasts with sparkling pink pepper, which resonates like the steps of the ballerina on pointe. 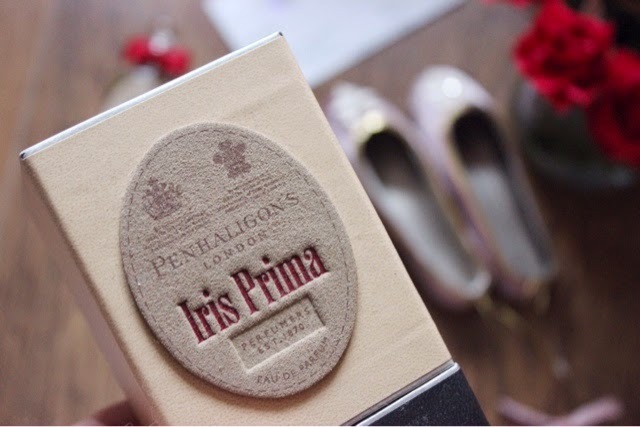 Iris soon takes centre stage, eclipsing all around her with her natural grace and powdery charm, until she begins a sensuous pas de deux with potent Jasmine Sambac. 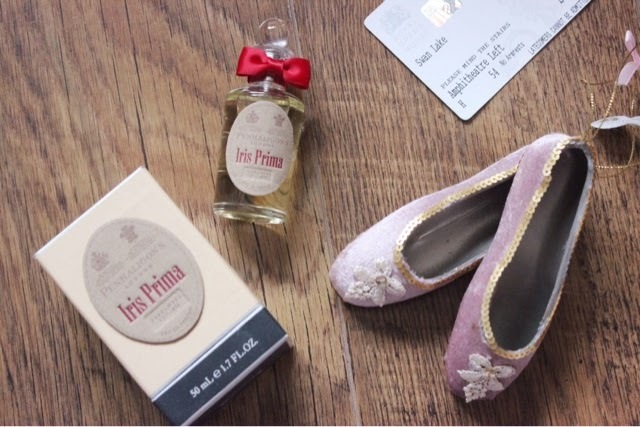 In the base, Alberto introduces an intimate, musky leather note to represent the pointe shoe and then light touches of sandalwood, vetiver, vanilla and benzoin to signify the soul of ancient theatres." 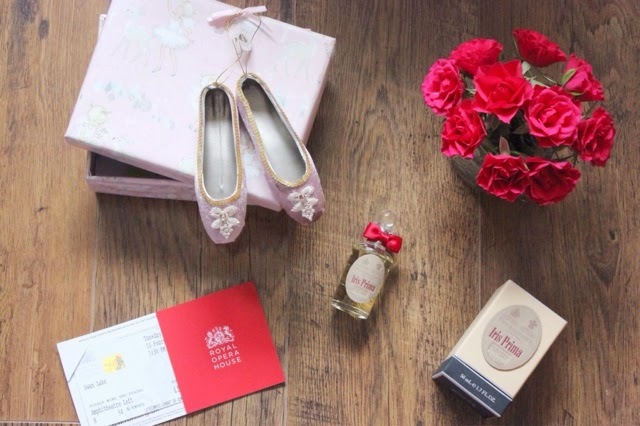 We had a magical evening at The Royal Opera House, and I shall be writing a post with lots of photos of our night which I'll upload tomorrow... Along with a Vlog on Sunday so please do check back for those.